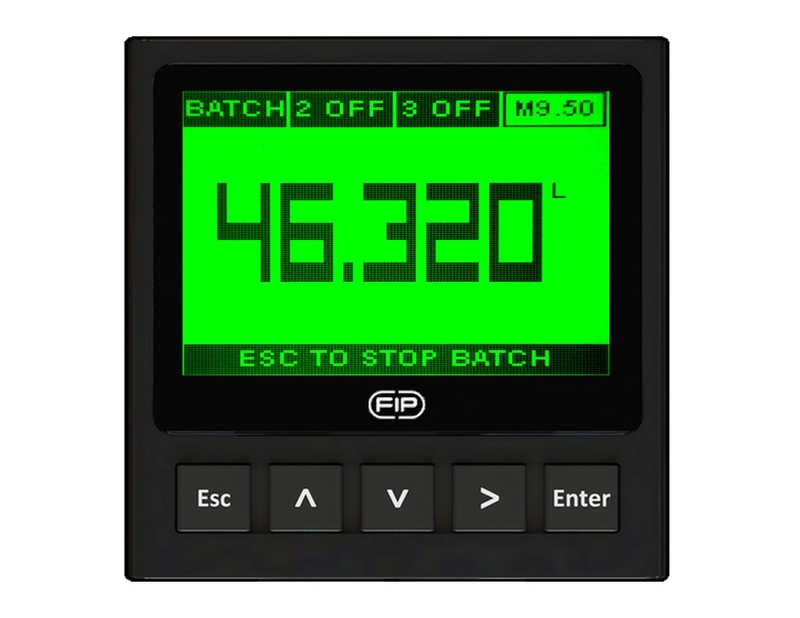 The new FLS M9.50 is an electronic device dedicated to control accurately batching or blending of different liquids. A 4” wide full graphic display shows measured values clearly and a lot of other useful information. Moreover, thanking to a multicolor display plus a powerful backlight, batching status can be determined easily from afar also. A tutorial software guarantees a mistake-proof and fast set up of every settings. Few advanced options are available to increase precision as well as timing of batch. Possibility of setting different volumes (up to 10 batches) correlated to specific calibration factors maximizes system flexibility guaranteeing highest level of accuracy. A proper package of outputs grants to control and to monitor the batching system remotely.